Amazon.in announced it was doubling its storage capacity in 2017, over the previous year, as continued investment in its fulfilment infrastructure to match its rapidly expanding business in India. Amazon.in said it will add a total of 14 new Fulfilment Centres (FCs) in 2017, including the recently announced seven specialized ones for large appliances and furniture. These additional new seven FCs will be set up in Telangana, Haryana, Maharashtra, Madhya Pradesh, Uttar Pradesh and Andhra Pradesh to support its regular business. All of these will be fully operational by the end of this quarter to support the remarkable high double digit growth the company continues to see. It grew almost 85% in the first quarter of 2017 and continues to rapidly expand to tier 2 & 3 cities and more in its aim to deliver to the most remote parts of India. Besides this greenfield addition of new FCs, it also announced doubling of storage capacity of the FC in Ahmedabad and 6X more space at the urban FC in Delhi to support increased customer and seller demand. “We want to ensure that Indian customers can buy anything, anytime from anywhere in the country. We are excited to announce our plans for 2017 which will double our storage capacity to support this exponential growth of Amazon.in. We recently announced 7 FCs dedicated to large appliances and furniture and with this capacity doubling, we will now see 41 FCs in India for 2017”, said Akhil Saxena Vice President, India Customer Fulfilment, Amazon India. Vice President, India Customer Fulfilment, Amazon India. He added, “These 41 FCs will bring us closer to our customers and enable thousands of small & medium businesses to fulfil their orders in a cost-efficient manner. With close to 5000 new jobs created by these 14 new FCs, we continue to remain committed to invest in infrastructure and technology in India. This is not only great for our customers and small-medium businesses but gives a tremendous fillip to economic growth in these areas, generating additional employment and skilling with growth of ancillary businesses such as packaging, transportation, logistics and hospitality across the country”. These new FCs will enable the sellers of the 3 new states of Madhya Pradesh, Andhra Pradesh and Uttar Pradesh, empowering more sellers to gain access to and service customers across the country at significantly low operating costs. The company’s FCs will cover a total area of close to 4 million square feet and offer a storage capacity of over 13 million cubic feet. With this wide network of FCs, Amazon will be able to able to fulfil Prime orders even faster than before. Amazon has created one of the most advanced fulfilment networks in the world and sellers in India have been benefitting from Amazon’s expertise in fulfilment, reliable nationwide delivery and customer service. When using Fulfilment By Amazon (FBA), sellers across India send their products to Amazon’s FCs and once an order is placed, Amazon picks, packs & ships the order to the customer, provides customer service and manages returns on behalf of the sellers. Sellers save money by replacing their upfront capital expense with low variable cost and pay only for the storage space they use and the orders that Amazon fulfils. Sellers always have the flexibility to choose the number of products they want to have fulfilled by Amazon and scale according to their business requirements. 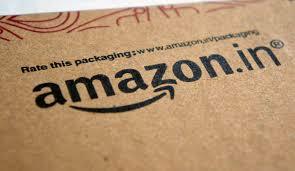 Currently, over 2 million products are available for immediate shipping through the network of Amazon’s FCs in India. This selection will only increase with the expanding FC footprint and benefit sellers and customers alike. Amazon.in to double storage capacity; offer 5,000 jobs in 2017 0 out of 5 based on 0 ratings. 0 user reviews.